Today, Strategic Funding announced the launch of a new brand identity, including a name change. Strategic Funding will now be called Kapitus. Kapitus, spelled this way, is not a word in any language, which makes it easier to trademark. Reiser said that the company has been relatively quiet over the last three years, but they have been advancing all along, and they are particularly proud of their brand new ISO portal. According to Reiser, the new portal helps ISOs better understand their book at Kapitus and allows brokers to generate a contract quickly without having to call them. The company has an in-house marketing team, but well over 50% of its business comes from the ISO channel. Kapitus provides a variety of financial products, including equipment financing (they have an in house equipment leasing division) and factoring (they have a small internal factoring group). They also offer business loans, lines of credit and MCA deals. But the company’s largest portion of its business – more than 15% – comes from its Helix Healthcare Financing product, which finances healthcare practitioners like doctors, dentists and veterinarians. Unlike other funders of healthcare practitioners that may offer financing terms up to 18 months, Kapitus offers terms of up to 10 years as long as the merchant satisfies its requirements. The company also funds a considerable number of healthcare-related businesses, like medical equipment providers. Otherwise, Reiser said that Kapitus has a diversified mix of merchants, from restaurants to manufacturers. Reiser said that about 15% of Kapitus’s business consists of deals above $150,000 for which they have a seperate team. They do deals as high as $750,000. When operating under the Strategic Funding name, there was a payment servicing division of the company, called Colonial Servicing. That entity will remain, but will be woven into the new Kapitus name. 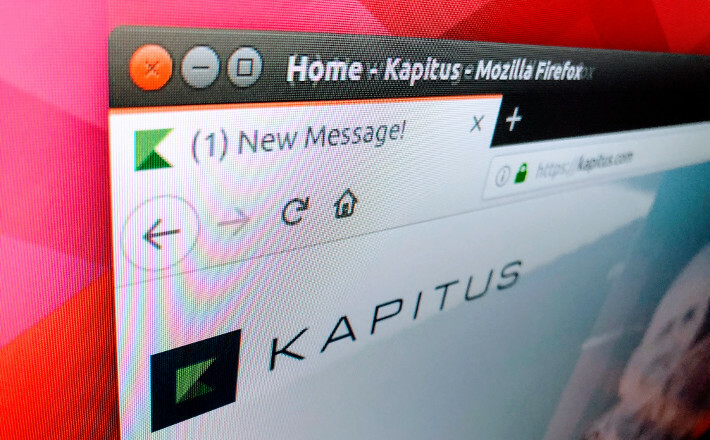 Founded in 2006, Kapitus employs 240 people divided among three offices. The headquarters is in New York and there is an office with about 30 people in Arlington, VA, and a Dallas-area office with about 35 people working in collections and customer service.